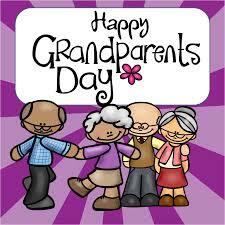 This is just a reminder that we are asking all grandparents and special friends to gather at 8:30 in the Parish Hall. They will be served a light breakfast and some coffee and welcomed to our school. From there grandparents will visit classrooms and eventually return to the hall for some presentations from our students. We will end the day with our All School mass at 11:15 in the church. We hope you can join us tomorrow!